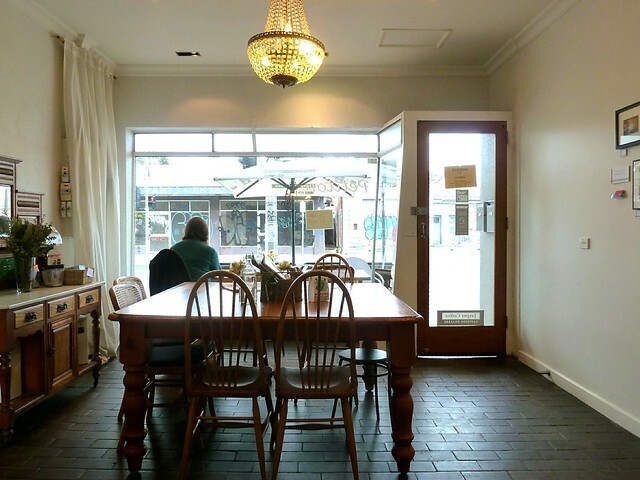 It's somewhat true that in Melbourne, the more hidden a bar or restaurant, the better it is. Sometimes I think this is our greatest failing - if you go for a wander about looking for something to eat or drink, you'll most likely end up in a mediocre spot on the main drag because you didn't know all you had to do was lift a manhole and do a secret knock before being admitted to the latest brew bar just beneath your feet. 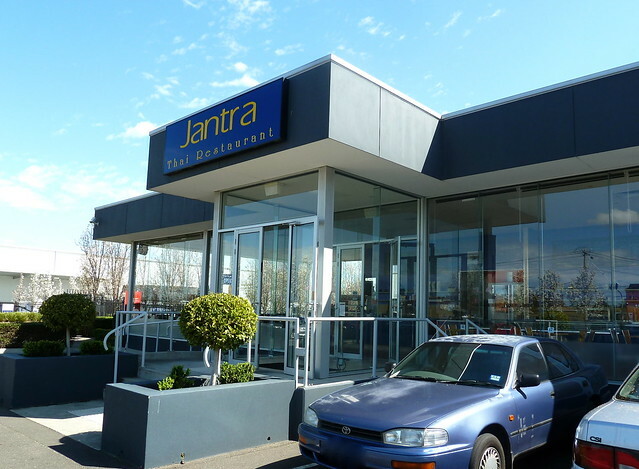 Now Braybrook's getting in on the "secret restaraunt" action with a new Thai place tucked away in the business park behind Central West Plaza. ...but sparks start flying when the food starts arriving. 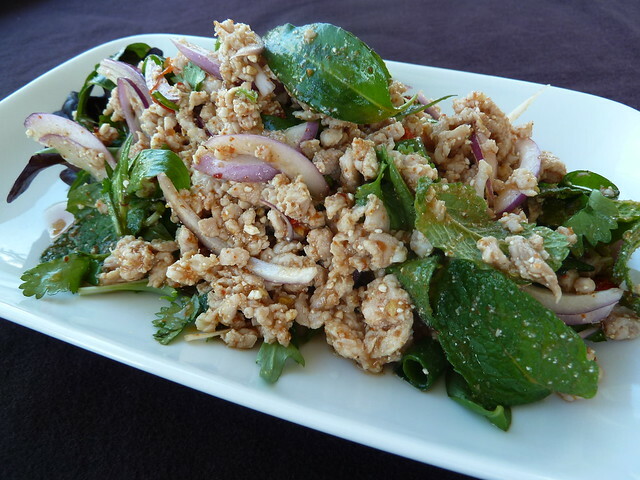 This chicken larb was awesome! Minced chicken, mixed with a little nutty ground rice, tossed with high notes of spicy red onion and fresh mint while ample chilli provided thumping bass. Wicked. Also delicious were these sweet soy rice noodles, curling around some simple cabbage, carrot and tofu and with proper, tantalisingly charred wok hei flavour. 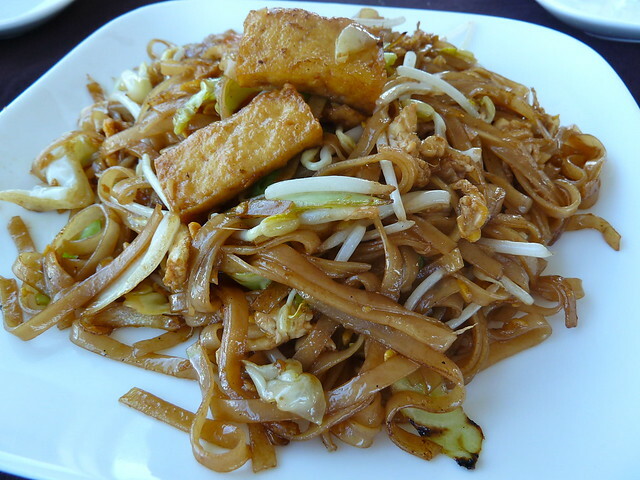 Some of the regular menu items seem on the dear side - $16.80 for a pad Thai with chicken, or $20.80 for seafood curry - but maybe the serves are extra large. Yes, I am that predictable. 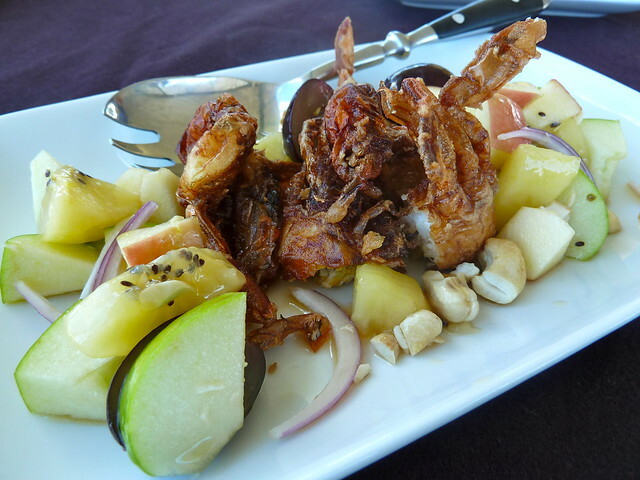 If there is soft shell crab, I must have it. Golden kiwifruit, red grapes and apples were mixed with slivers of red onion and a pungent fish sauce-based dressing. Fresh (albeit small) crab with silky yellow roe worked perfectly with the fresh, crunchy, sweet yet sour salad. We were cheeky and ordered dessert from the dinner menu, despite it being lunch. 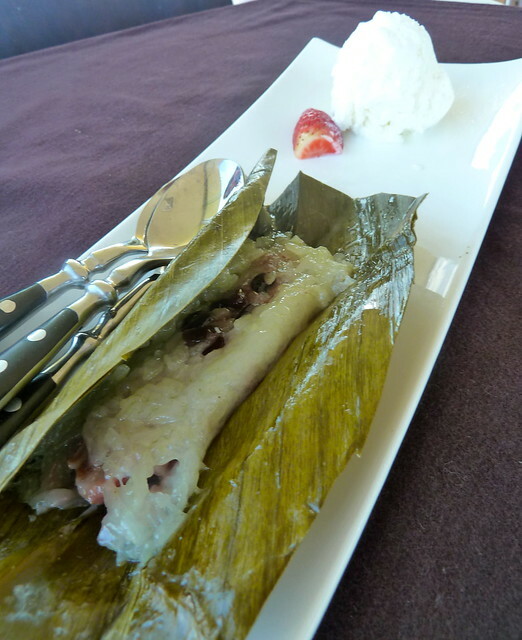 Loved this banana rolled in sticky rice, steamed in a banana leaf and served with cool coconut ice cream. 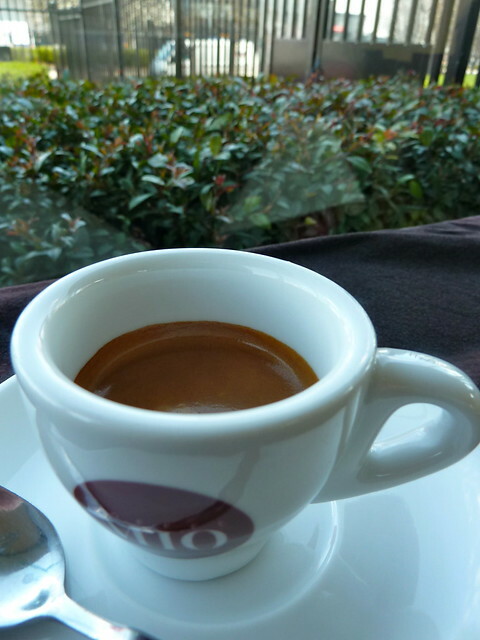 And if it wasn't already too good to be true, a short black was tip top. No secret knock required. Go go go! Disclaimer: I attended Shimbashi Soba as a guest of the proprietor. Please see end of post for full disclosure. What are your recipe deal breakers? Will you stuff, bone and truss, or are you a chicken shop boy/girl? (I confess I'm the latter.) Do the terms "soft crack" and "hard ball" freak you out? (They're used in confectionary making, you dirty person, you.) I know for me, a terrible afternoon with a bowl of dough, a slow-press juicer, a vapid instruction manual and a clothes horse festooned with claggy strips of home-made fettuccine meant that I will never, ever attempt to make my own pasta again. Same goes for noodles. And anyway, why bother, especially when we have so many wonderful specialty noodle shops to choose from? Shimbashi Soba has recently opened in Liverpool Street, Melbourne and specialises in making soba noodles from scratch...and I mean scratch. I've tried to make soba from packaged, dried noodles in the past but it's never been very nice, the dried noodles turning soft and claggy very fast. It was the chance to try hand-made soba that piqued my interest when contacted by Chef Taka's lovely friend and ex-colleague Harumi, who is helping with the PR for his new Melbourne venture. I love going somewhere and just saying, "Feed me food". The Japanese have a word for it - omakase, which means you're in the chef's hands. We couldn't resist making some suggestions as well, though! 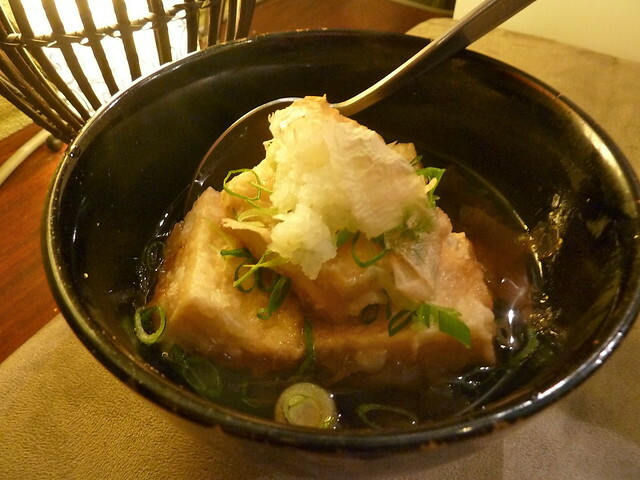 This agedashi tofu was good - it's a deliberately benign dish, the neutral, slightly savoury tofu in harmony with mild dashi-based dressing. Loved the touch of very authentic grated daikon on top. More bonito flakes though please! Aren't these gorgeous - like little ikebana flower arrangements! 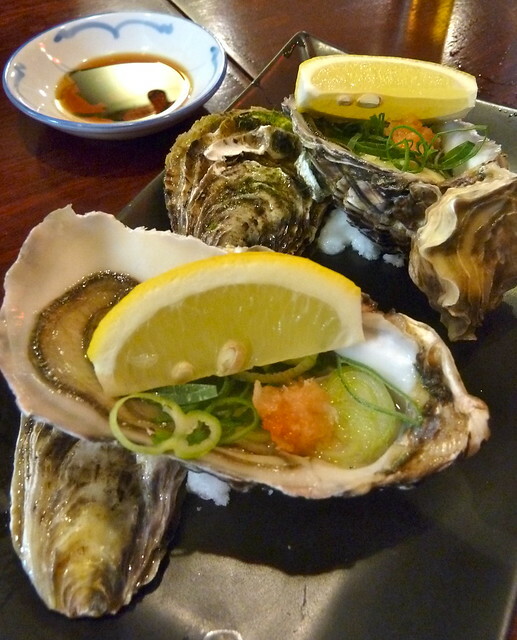 Loved these oysters with their lip-smacking yuzu citrus dressing. 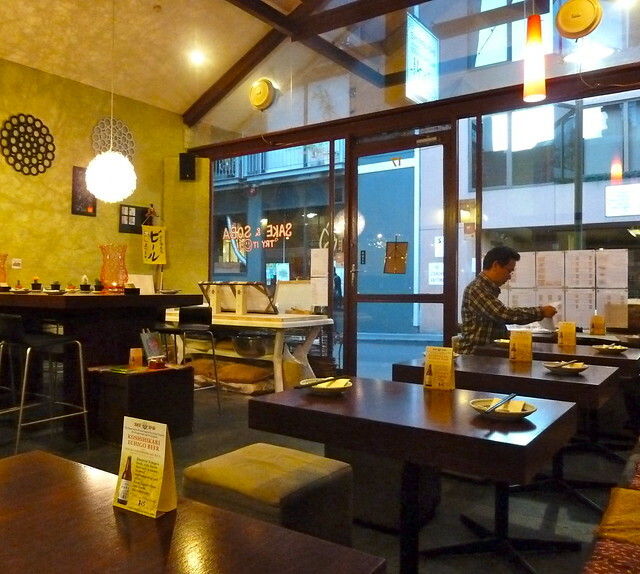 Shimbashi have an impressive Japanese drinks menu with interesting sake and plum wines. 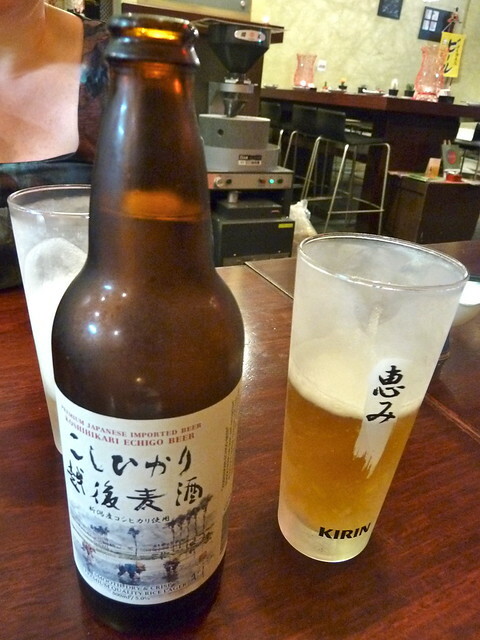 This beer, made with short-grain sushi rice, was utterly crisp and delicious. Anyone who eats with a food blogger knows their meal is not their own for at least 30 seconds after arriving on the table. I'm not as "bad" as some - one friend has been known to commander your lunch, carrying it off to a sunlit windowsill for a photoshoot before you're "allowed" to tuck in! It's telling then that I was so excited when this arrived, for the first time ever I had to be reminded to take a photo. 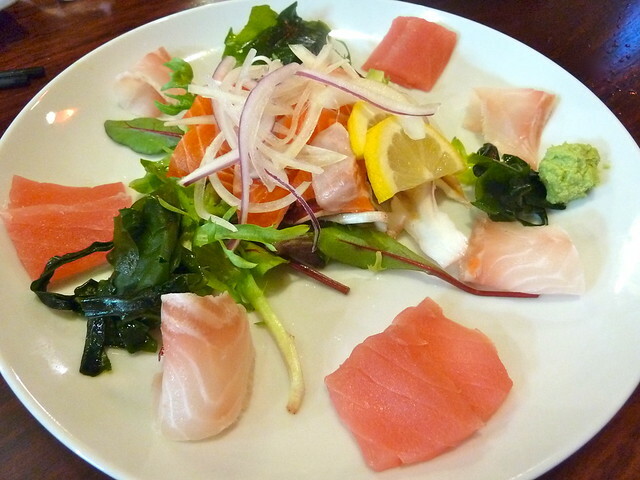 This sashimi was divine. Getting away from the salmon/tuna/something white tired triumvirate, we had Tasmanian ocean trout, sand marlin and classic, rosy tuna. This combo changes daily according to what the chef finds at the Vic Market. Sublime. "Ooh, lovely!" we exclaimed on being presented with this little dish. We should have stopped right there and tucked in, but I had to ask, "What is it?" Turns out it is fish eggs and milt or fish sperm sacs!!! Apparently Chef Taka found a lovely pair of striped jack, a kind of mackerel, at the market that morning, from whence these delicacies came. So we stared. We spun the bowl. "I don't think I can do it," said my friend. But we did, and boy was it good. The eggs (on the left) had a grainy texture and a not unpleasant fishy taste (like tuna), but the fishy boy parts (shirako) on the right were delicious - smooth and buttery, not unlike pate or brains. Definitely the strangest thing I've eaten all year, and probably the most surprisingly delicious! This is a new discovery for me (thanks K!) and I LOVE it. 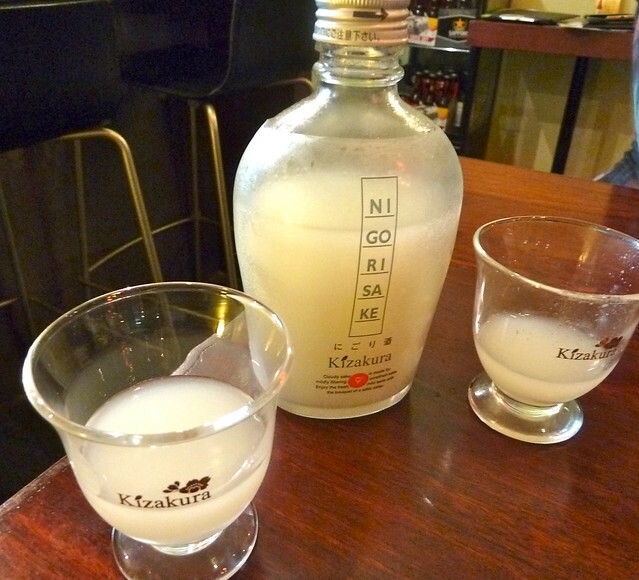 It's called nigorisake and it's sake (or rice wine) that is unfiltered, leaving it with a creamy, viscous texture not unlike drinking yoghurt. It's served chilled and is delicious, both sweet and tart at the same time. If you want some street cred, try ordering this next time you go Japanese - it's relatively unknown and boy, is it YUMMY. 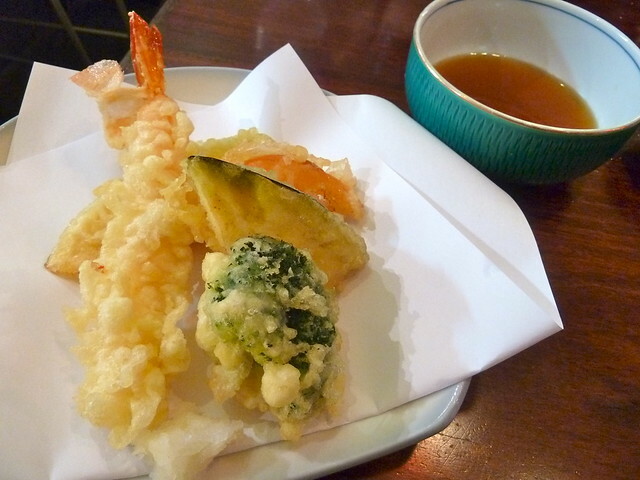 Delicious tempura, featuring Aussie prawns from the Vic Market, eggplant, broccoli and other vegies. It was served on paper as is traditional, to demonstrate the chef's skill in making it non-oily. The grand finale! 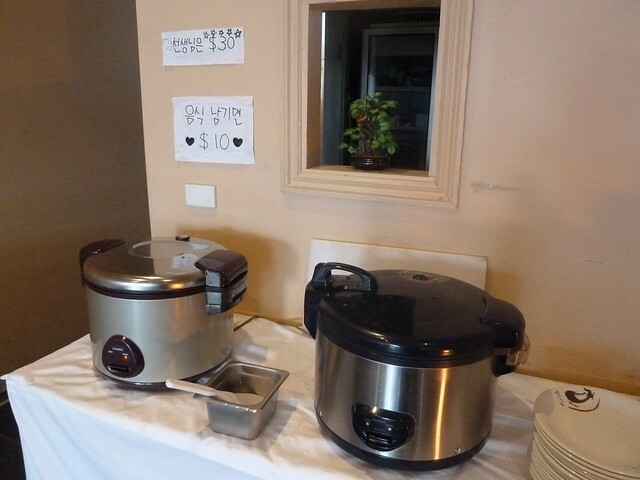 Soba can be served hot or cold but this is the most traditional way. 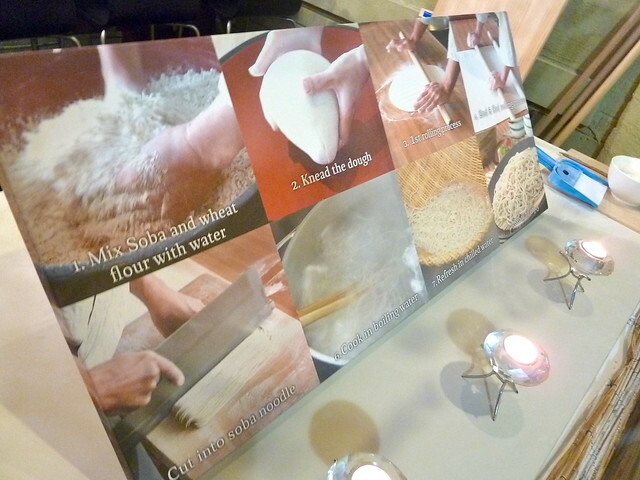 The noodles are served chilled on a traditional mat (once upon a time, soba noodles were steamed on a mat like this). Under the bowl of spring onion is a small cup. A thin, soy-based, ever so slightly bittersweet dressing (tsuyu) is poured from the small jug into the cup, and each chopstickful of noodles is swizzled briefly before being guzzled up. The idea is to "haul in" the noodles quickly without having to bite them off. Slurping is not considered impolite and heightens the sensation of silky soba entering your mouth. The noodles have such a distinct, earthy flavour - delicious. I love the ritualistic way of serving and eating too. 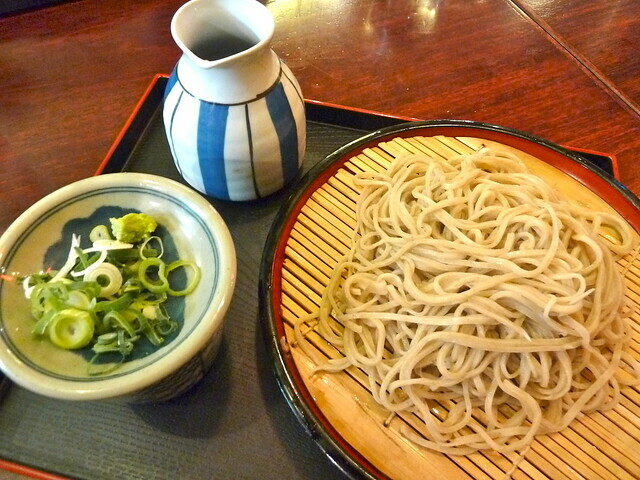 Soba have vast health benefits including being very high in protein and various polyphenols and bioflavenoids. 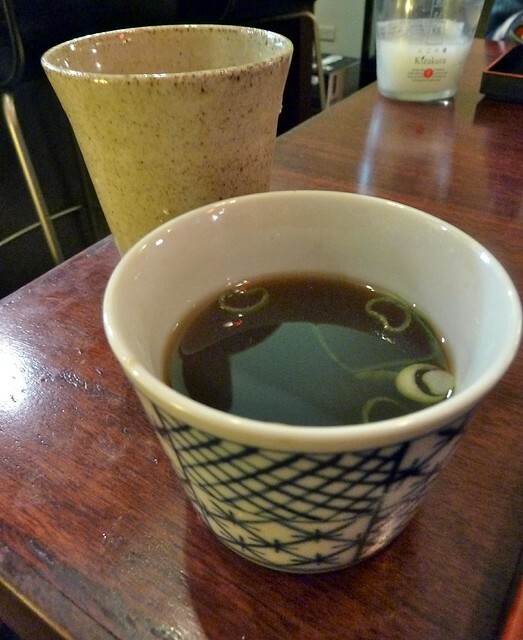 The broth soba are cooked in is very nutritous and it is traditional to mix a little with the leftover dipping sauce for a final drink. This was delicious, balanced and soothing. 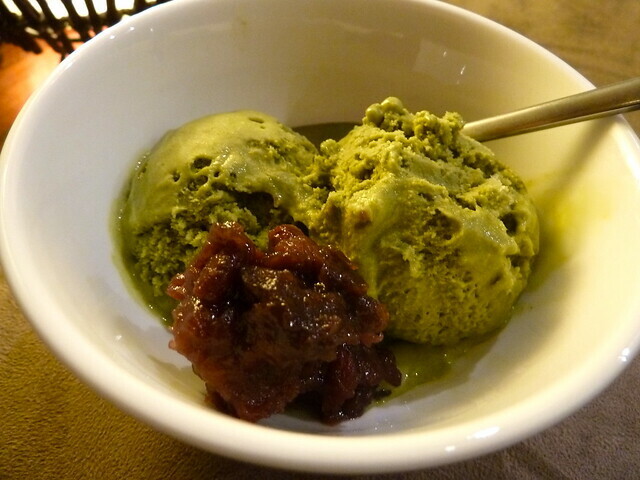 LOVED this - house-made green tea ice cream, ever so slightly bitter and with an intriguing graininess (from the finely milled matcha or green tea). It married perfectly with soft, sweetened adzuki or red beans. YUM. 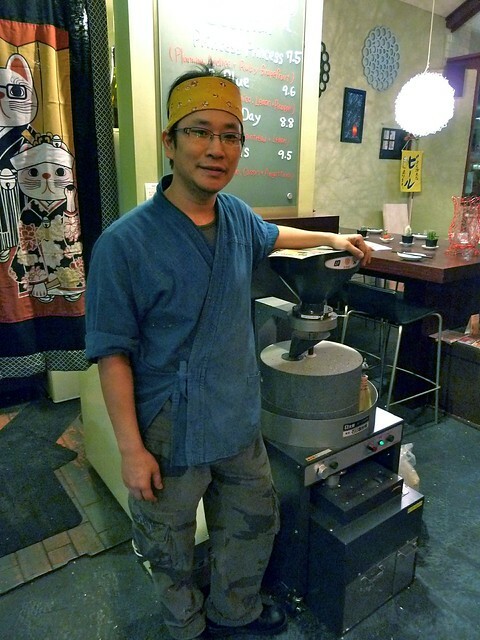 Here's Chef Taka Kumayama with his stone-based buckwheat flour mill. The Shimbashi "brand" has a history that warrants explanation. A chef named Yoshinori Shibazaki opened the first soba bar in Sydney in 1994, committing to making soba traditionally and later, grinding his own flour. Success led to a partnership with a Singapore company, R E & S Enterprises, and Shimbashi Singapore was opened in 2003. 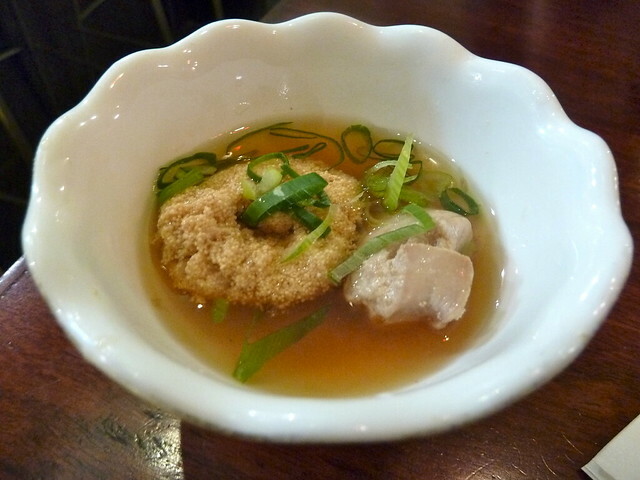 Chef Taka (above) had been making soba in Sydney for "Soba Master Shibazaki", as he is known, and he was then sent to oversee operations in Singapore. Mr Shibazaki has now moved back to Japan, having sold his Sydney business and later opening and also selling another soba bar on the Gold Coast. 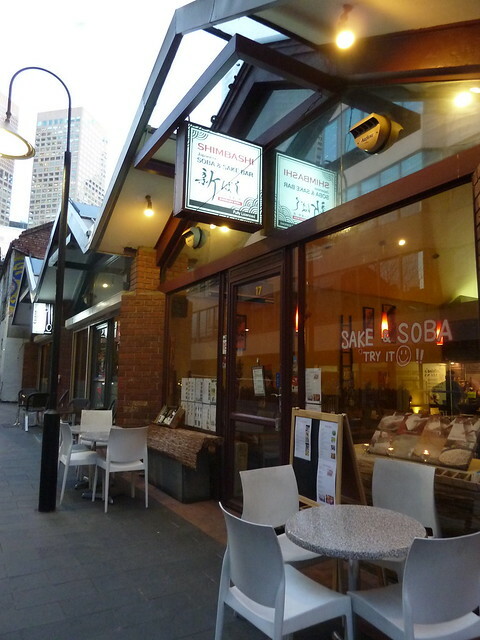 Chef Taka has now migrated to Melbourne, owns this restaurant independently and, due to his longstanding association with Mr Shibazaki, has been given his blessing to continue using the same traditional methods and recipe as the original Shimbashi restaurant in Sydney. So come for the soba and stay for the unique sake and well-made Japanese fare. I know there are plenty of good Japanese places in town, but the soba really makes Shimbashi stand out. The interior, while unpolished to a degree, is quaintly charming in its homeliness. Chilled soba, sashimi and sake in the peaceful laneway on a hot summer evening sounds like a definite plan. Chef Taka is very focussed on good ingredients and it shows - his signature dish, warm soba noodle soup and duck is coming soon. Speaking of recipe dealbreakers, anything involving duck is another one of mine, so duck and hand-made noodles sounds like a most delicious plan! Hours: Mon-Fri 11.30am-2pm, Mon-Sat 6-10pm (last orders 9.30pm). Closed Sunday. Disclosure: I attended Shimbashi as a guest of Chef Kumayama, which means a guest and I did not pay for our meal or drinks. We left it up to the chef to design our meal but we selected our own drinks. This offer was not conditional on subsequently writing a post. Shimbashi has not sought nor been given any editorial control of this post. 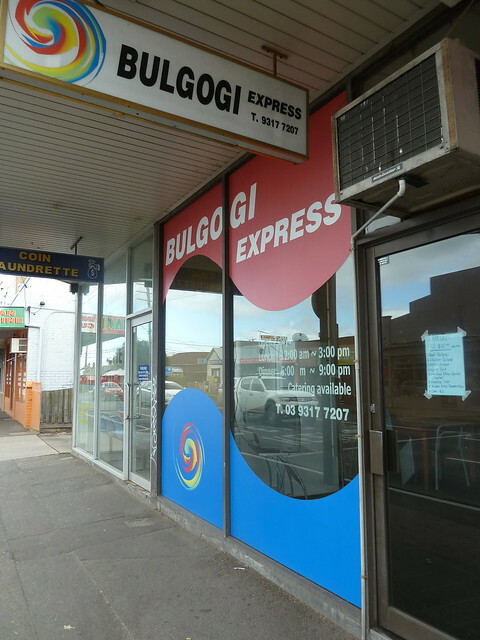 My friend firmly believes that the windswept strip of shops at the corner of Gordon Street and Ballarat Road, remarkable for its Pizza Hut and long-shuttered doctor's surgery, is the next big thing. I wasn't so sure. 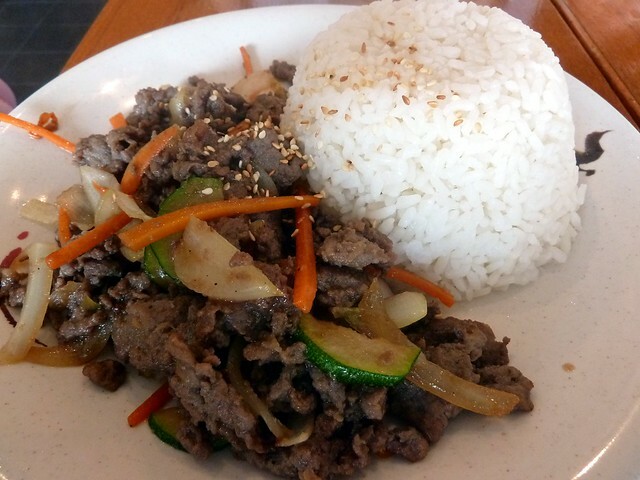 However, the revelation of Bulgogi Express' homestyle Korean menu could be the turning point the strip is looking for. This shop has a curious history, and I've never been quite sure if it was a public restaurant or a dining hall of sorts. Ian gave me the hot tip on the FFB Facebook page, enticingly describing bibimbap and bulgogi grilled tableside. 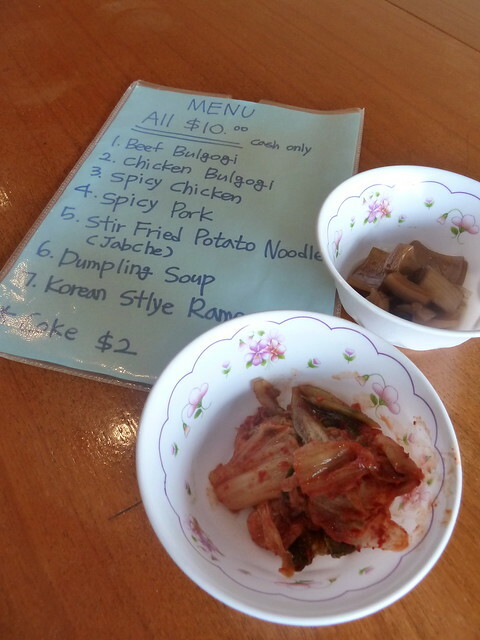 Bulgogi Express now has new owners (only for the last three weeks at time of writing) and while there's no more tabletop bulgogi action, there is a simple and enticing menu of homely Korean fare. 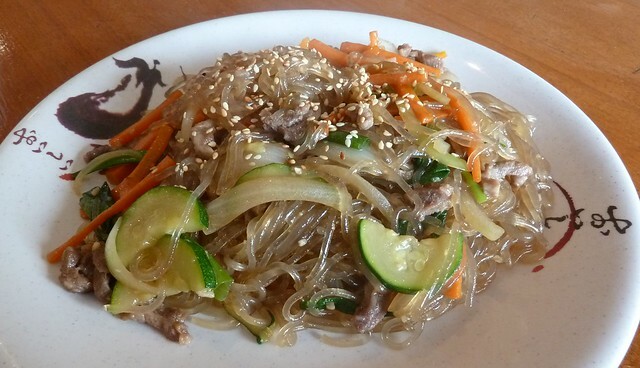 Japchae is a dish made from chewy, clear noodles made with sweet potato flour. Often it can descend into glugginess, but this version was awesome - the noodles still springy, not at all soggy, aromatic with sesame oil and entwined with beef and vegies. YUM. Top points for value here with a heaping serving of wafer-thin, well-marinated beef cosying up to white rice. I preferred the lighter flavours of the japchae, though - the very sweet beef got a bit much over time. Normal people would be quite sated at this point but greedily we wanted more...until I was faced with my nemesis, plastic cheese! 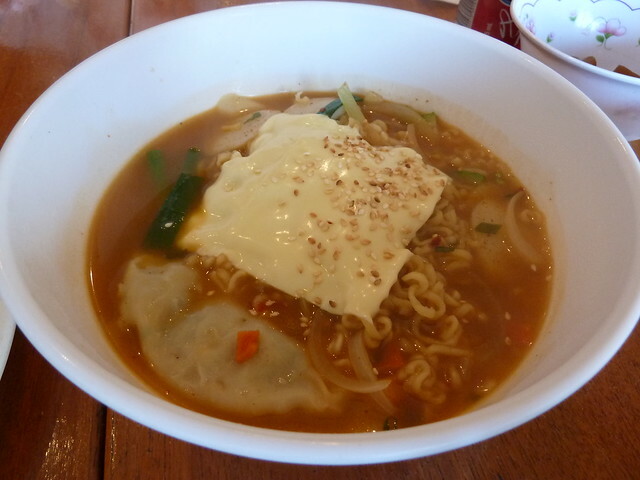 Korean cuisine has co-opted some elements of the Western pantry, particualrly in the dish budae jjigae or "army base stew"- an (IMHO) nauseating combination of instant ramen, frankfurters, Spam, plastic cheese and baked beans. 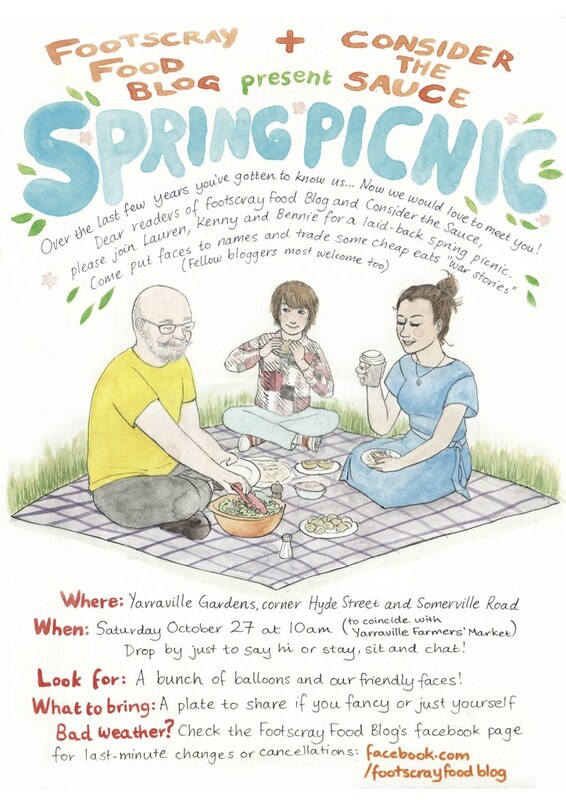 It's a favourite of Melbourne blogger The Quince Poacher, who fondly calls it "a seven year old's dream dish". Underneath the cheese this dish was quite good, with large jiao zi-style dumpling, springy instant noodles, kind of thick, starchy discs and broth with a good chilli hit but I couldn't get past the fromage au plastique. Not doubting its authenticity though! 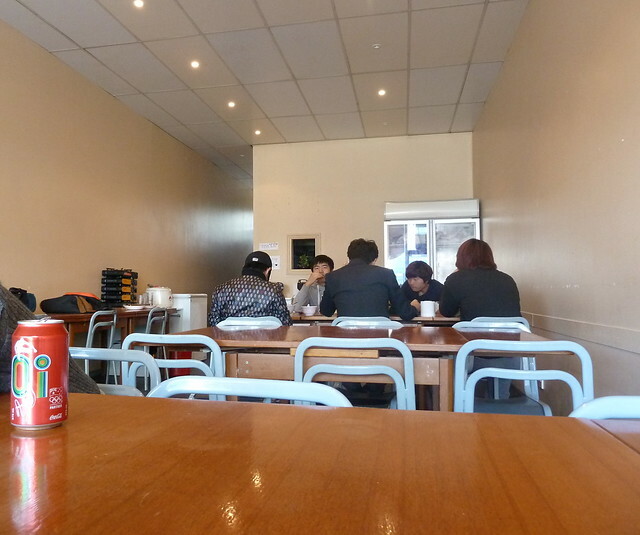 With lovely, friendly service and all the tropes of a good budget restaurant including a single-page, handwritten menu, chattering telly in the corner and only one drink on offer - Coke, $2 - Bulgogi Express is definitely worth checking out. Save some japchae for me! 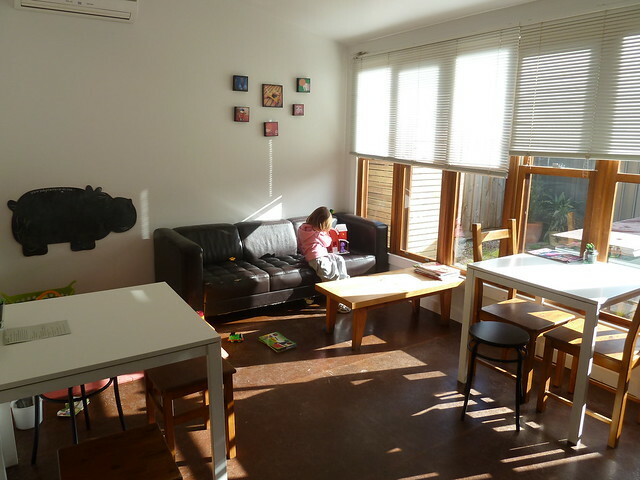 My husband was working in Sydney last year and in a textbook case of "sounds good in theory", me, my sister and my merry band of snot-nosed children drove up there in the school holidays and stayed for two weeks on the floor of his bachelor pad. This was in the middle of a very groovy inner-city part of Sydney that was remarkable for being like something out of Children of Men - there were no children to be seen. In the empty local park, rusty swings creaked forlornly while crumpled autumn leaves blew back and forth. At the bottom of the slide languished a stagnant puddle of water that just cried out for a jolly padded bottom to shoot down and disturb. Part of this was good. 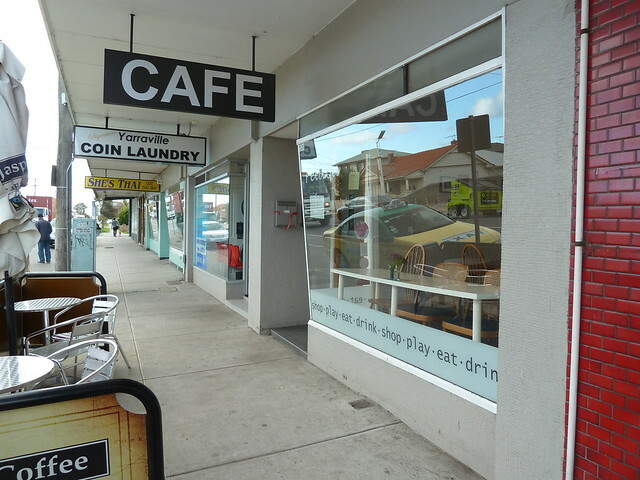 The ladies in the milk bar/laundromat plied the children with lollies and took endless photos on their iPhones, as if the kids were some kind of rare creatures they had never encountered. 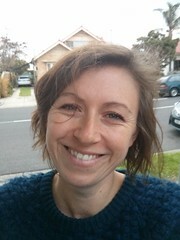 But when my 2-year-old had a minor wobbly at the fancy, farmer's market-style Coles and a man leant down and muttered at her to "shut up" before storming off, I began to feel there was something sad and wrong about this adults-only world. Community is about tolerance. It's about tolerating children, just as we tolerate lonely old people who bail us in the street for a (rather one-way) natter. I swear, when I am on the bus, I think a big arrow saying "soft touch" comes out of the ceiling and points to my head, as anyone who wants to chat about their bowels seems to decide I'm their best bet. We were all children, and we will all be doddery old people one day - and hopefully, with the community we've cultivated, we may be doddery but we won't be lonely. 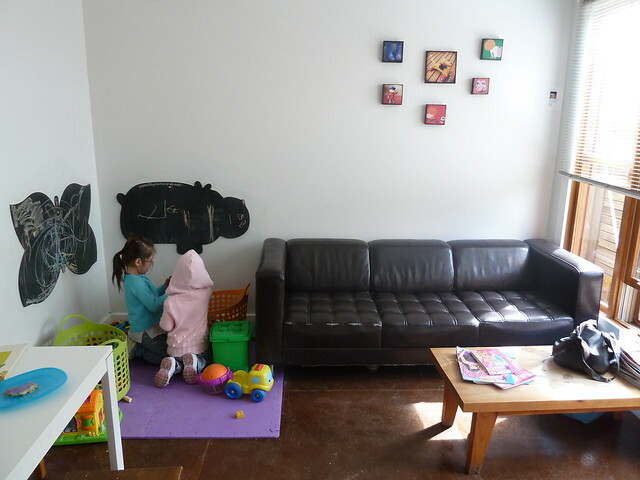 ...and a big playroom out the back where you can spread out and let your guard down. 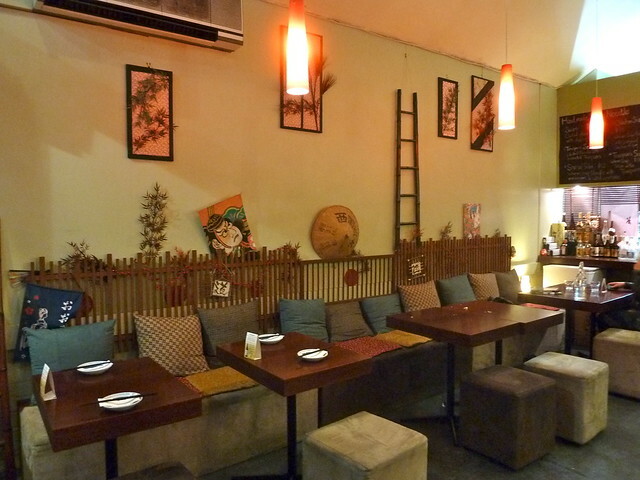 Now, I take my kids to any cafe, but a child-friendly space like this means you can really, truly relax. Sure, some of the toys are a little worn, but there were colouring books and the kids had great fun. The genius is that the counter (where you do your ordering) is in the middle of the cafe and serves as a divider of sorts between adult-world and kid-world. The first time I went here I met up with Lisa aka Lady Lunchalot. When I first moved to the west and was marooned on planet baby, living vicariously through other people's food blogs became my life raft. 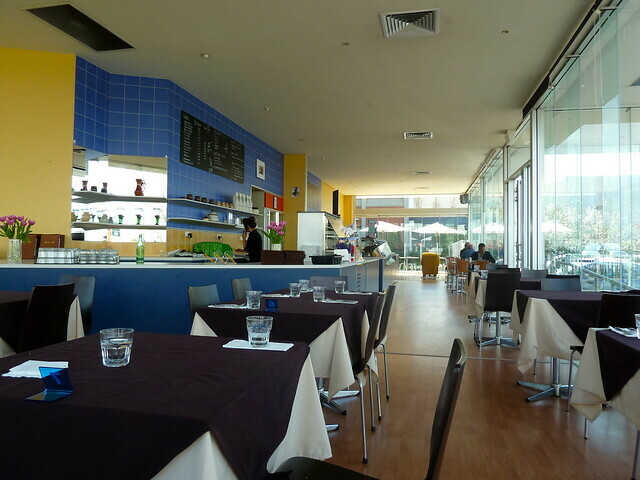 Lisa wrote some wonderful posts on eateries in the area which were a real inspiration to me to start my own food blog. 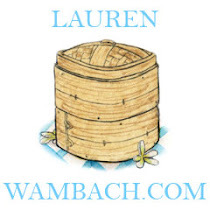 It was such a delight to meet her, and I'm so glad she has taken up blogging again! 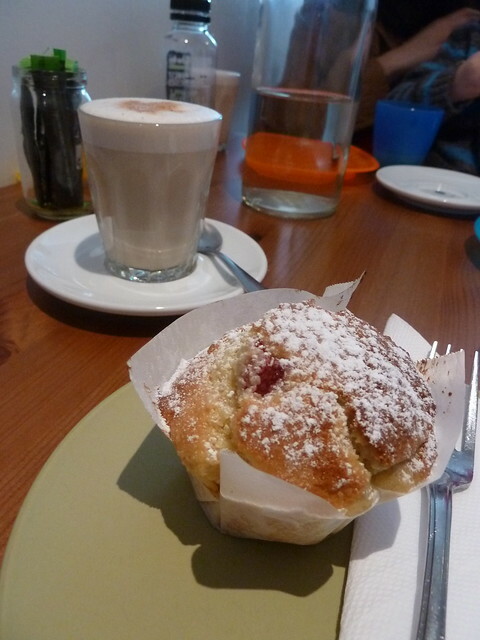 We shared lovely, honey and spice chai lattes, while my daughter was placated with a gorgeous raspberry muffin. 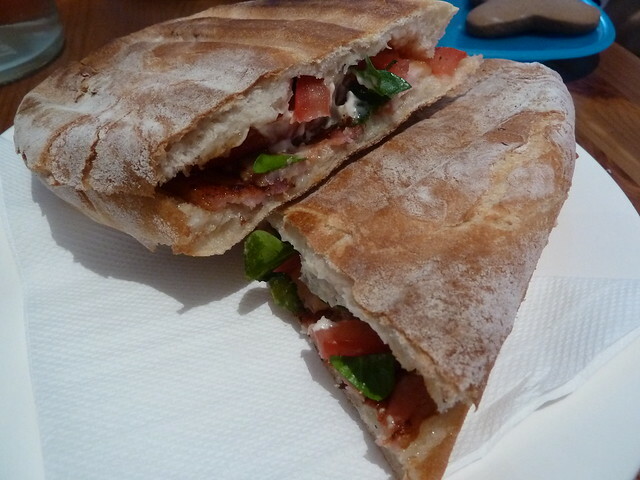 An awesome breakfast panino of delicious bacon, bursty tomato, mayo and greens on good bread - yum. 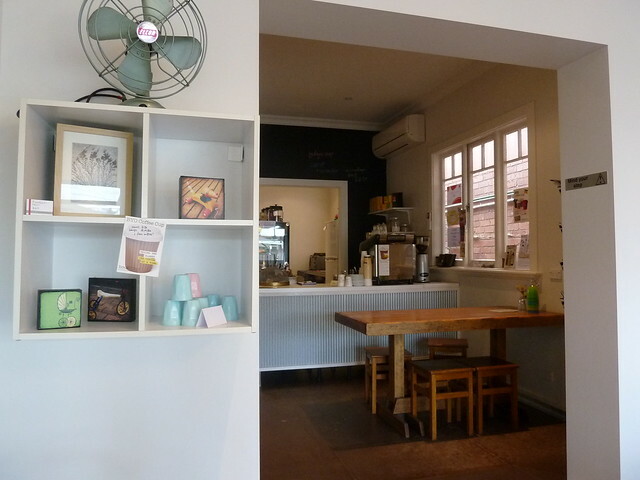 I went back again for a coffee and dared to sit in "the good room" with the kids! 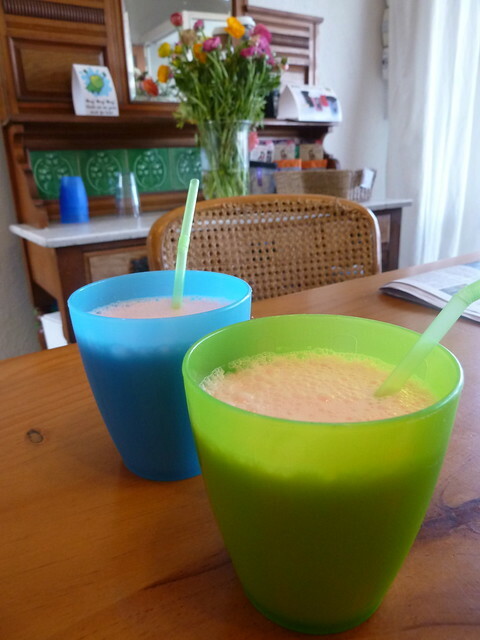 They loved strawberry milkshakes. 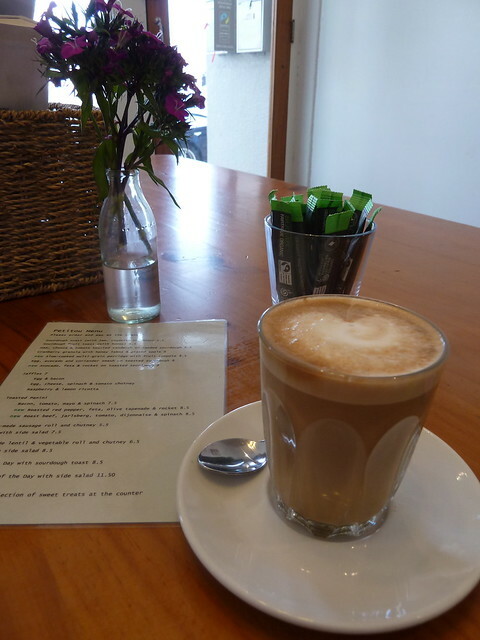 Coffee (Jasper) was good, the milk not as ethereally silky as, say, Common Galaxia but nice all the same. 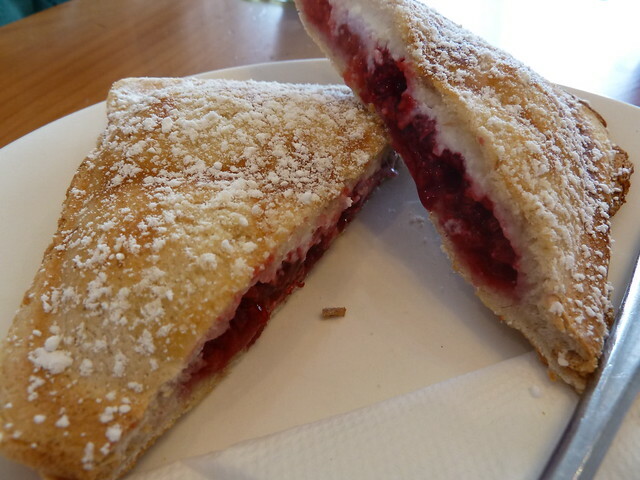 Petitou are famous for their jaffles and it was a struggle between the special with homemade creamed corn and this sweet delight, raspberries and lemon ricotta. This was just delish, the ricotta mixed with real lemon zest, setting off the pleasantly tart raspberries perfectly. We moved out the back and while the kids played, I sat on the couch, knitted, finished my coffee and felt like I could stay here all day. I know kids are annoying - trust me, I have three of them! But as this anonymous commenter said above, lots of things are annoying. It's all part of life, and Petitou is a lovely spot to spend part of yours. To Meaghan S, who wrote to me recommending Petitou back in February 2011 - if you are still a reader, I am so sorry it took this long!!! The list is long, but everything does eventually get its day!